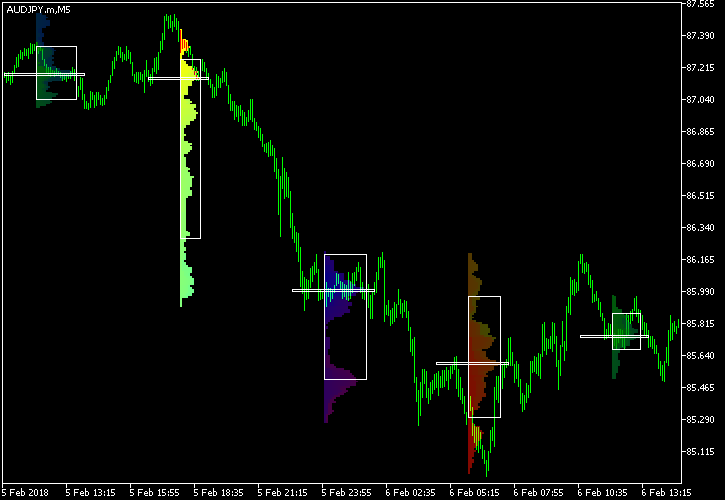 Two years ago, I have added the capability for a Market Profile indicator to work with weekly and monthly trading sessions. One of the members of our Forum suggested adding customizable intraday sessions to Market Profile. Considering the fact that quite a few Forex traders use Market Profile for analysis, I decided to implement the support for the intraday sessions, doing some other code tweaks on the way. Up to four intraday sessions can now be set via the input parameters. This feature might be useful to short-term traders working with particular Forex trading sessions. Three new color schemes have been added: yellow to cyan, magenta to yellow, and cyan to magenta. The indicator will now check all the input parameters and the chart timeframe in the OnInit() function and will remove itself if there are errors. Some minor code optimizations for smoother runtime and easier modifications later. The new version might be full of new bugs, so please handle with care and let me know if you find something.